Where were you when the Big News hit? When the results of Britain's EU Referendum came trickling in, I was dressed in a bright red poncho with a frilly hat, getting ready to flounce my way through the streets of Cusco. Everyone knew the referendum was going to be a near thing; polls had made it clear that Britain was closely divided between those who wanted to stay part of the European community, and those who wanted out. But it was still a shock to see Leave votes surge ahead as the first constituencies were called. I wasn't dressed up alone. 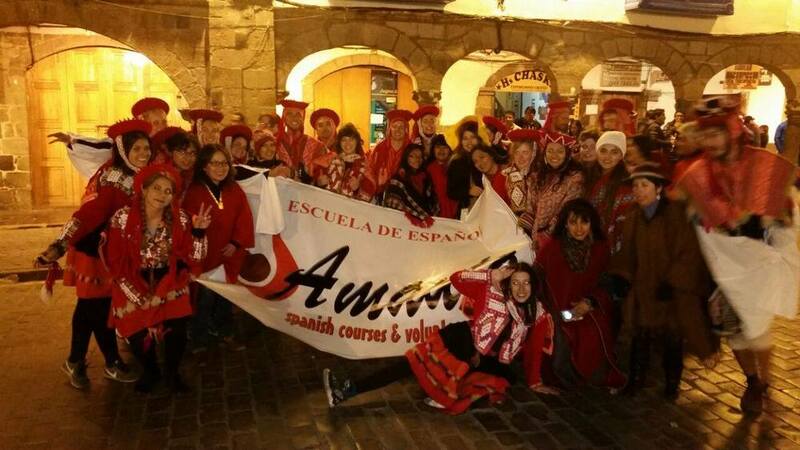 I was with a group of students, a rag-tag assembly of fellow tourists studying at the Amauta Spanish school in Cusco. For reasons that escape me, we had volunteered to take part in a night-time parade through the streets of Cusco, as part of a larger city-wide celebration. 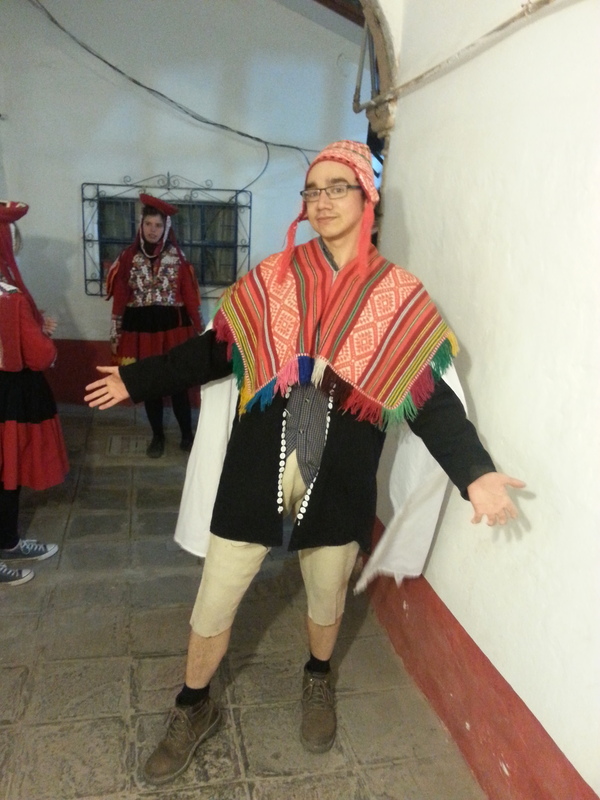 It meant funny hats, bright ponchos, and performing a traditional Peruvian dance in the crowded town square. The parade was huge: we were the 147th group due to perform. While we waited nervously for our turn to shine, the Europeans in my group crowded around a smartphone with a dying battery, and boggled at the latest updates from the UK vote. Once upon a time, Inti Raymi was the old Inca Festival of the Sun: a colourful ceremony held on the Winter Solstice to persuade the sun to keep on shining. This persuasion came via enthusiastic singing, dancing, and the bloody sacrifice of an unfortunate llama. The festival was banned by the Spanish in 1535, but historical reconstructions began taking place in Cusco in the 1940s. These days, the llamas get off easy. A few get paraded back and forth during the festival, but they don’t get anything cut out. Instead, the whole of Cusco erupts into a solid week of parades to mark the holiday. Dancing children cartwheel through the streets, fireworks light the sky, and on June 24th, a theatrical reenactment of the Inti Raymi ritual takes place at the Saksaywaman Inca ruins, two kilometres from the centre of Cusco. It makes perfect sense that the Spanish banned the original Inti Raymi festival, when you think about it. They were a Colonial power, and it was something colourful, strange and different. Of course it had to go. I honestly have no idea what that last float is. Parades breed strange terrors. The most distressing thing about the EU vote (aside from the massive economic uncertainty it has caused) is that the debate took what should have been a fairly dull discussion about economics, and repeatedly framed it as one set of people versus another. Brits overwhelmed by refugees. Brits endangered by immigrants. Brits against that lot in Brussels (who aren't influenced by the British government at all). So much rhetoric positioned the referendum as the story of a plucky island full of one people, and the worrying Others all around them. It's a line of thought that leads to nasty places--and thinking of the world in terms of Us and Them is a little old fashioned, too. Once upon a time, that kind of reasoning would have given one empire licence to repress another, like the Spanish and the Incas. But in an age where a British vote can cause markets across the globe to splutter and crash, a philosophy that makes strict divisions isn't really fit for purpose. It just doesn't fit the world we live in anymore. A group of tourists who wish they could dance. Photos via the Amauta Spanish School. 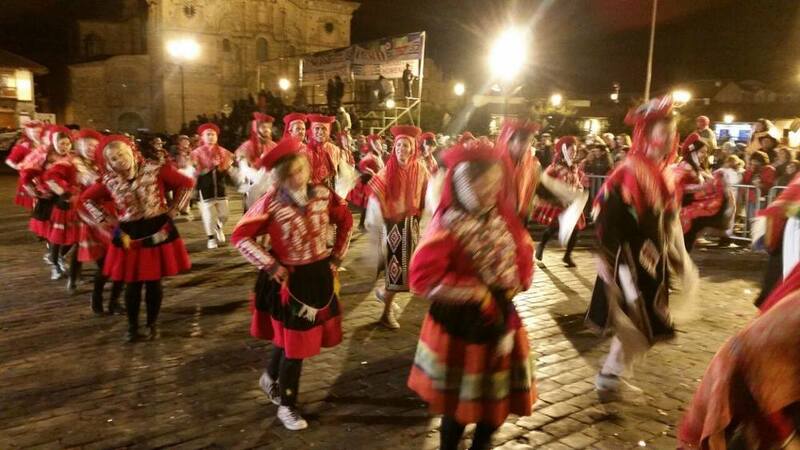 In the main square of Cusco, a bunch of foreigners danced. We did so very badly, truth be told. With only a couple of hours practice under our tasselled belts, our choreography definitely needed work. I certainly don't think I won any awards; I spent most of the night prancing up and down in desperate search of rhythm, flapping and squawking. Why flapping and squawking? Because my group was performing a traditional dance which represented the mating of birds. The girls sashayed and skipped and shook their village-maid dresses. The boys flapped billowy white sleeves, and cawed at the sky. The air was filled with drums and flutes. People clapped for us, as we lolloped past. The night smelled heavily of sizzling street meat, and overused public toilets. The audience smiled, and chuckled, and encouraged us along. Half a planet away, my home country decided it ought to see the world as Us and Them. But on the streets of Cusco, a bunch of tourists looked like fools in a parade, while the locals cheered and clapped. And we laughed together, late into the night.